We are moving through the September Equinox as I write, the midpoint between the Solstices and with it comes a welcome sense of balance. The pushing, pulling and squeezing of the last few weeks has gratefully eased and we are given room to breathe again. There is space for settling in to where we are and if we wish, for looking ahead as with this energy comes openings, a releasing of what may have been hidden, held back or just out of reach. Openings that can help solidify our steps onto the path of the new as with this energy are the companion astrological alignments in the direct motion of Pluto, after 5 months of retrograde motion, followed by the Sun into Libra and the New Moon on the first degree of Libra. Pluto is the little planet of intense transformation and his retrograde motion since mid-April has only enhanced what all the energy cycles are encouraging us to do, to dig deep into the murkiness of our shadow selves and remove all that is out-dated and obsolete, to free ourselves from old patterns and desires and release ourselves from wherever we are not in our own power. Ironically, as Pluto completes this retrograde phase we are blessed with a New Moon at the first degree. While 0° is technically the first placement within a sign, a new Moon at 1° brings fresh surge of energy and so it is no surprise many are now feeling the desire for something new. To step out of what was and become someone new. But this newness is not necessarily new in the sense of the word as all this self-analysis and self-discovery has been more of a process of uncovering, an unveiling of what has always been. As we work through peeling off the layers of who we were, we are revealing the true nature of who we really are and it is this essence of our true selves that is now urging to come out as the leading light in our lives. This light within is now finding a way to shine on the outer and it’s encouraging us to continue to shift and adjust our ways to align our paths with our new perception. For me personally, the energy of transformation could not have appeared more boldly than it did on the weekend when a tree snake made its appearance in my bedroom. Thankfully I was not in danger and it was carefully removed by someone much braver than me but it did validate the significance of these times and as a friend noted, our animal friends make their appearance to show support on our path. 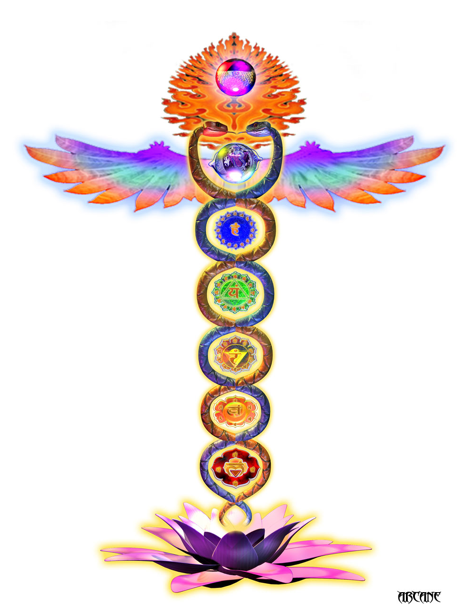 With snake energy represented in the image of the Great Rainbow Serpent and the Kundalini, it is powerful symbol of creation, transmutation and shedding of the old to allow the emergence of the new. So at this point of balance and in the spirit of Libra, this new energy is saying we are creating and we are free to choose our direction and decide which way we will tip the scales. The added freshness of a 1° New Moon is supporting new beginnings and with our true selves at the helm and all things at the core of our desires centred in Love, it is our choice as to where we go from here.